KORP! VIRONIA // The Korp! Vironia team helped organize this year's tournament and also fielded a complete team. Volleyball has been a favourite sport among local Estonians since post-war immigrants first set foot in downtown Toronto’s YMCA in the early 1950’s. The Estonian academic community has organized its annual volleyball tournament for Estonian sororities and fraternities for almost as long. In its heyday, this tournament was held at the Scarborough Campus of the University of Toronto, where Professor Taimo Pallandi was the Director of Physical Education and arranged use of the gymnasium. The tournament was played at Scarborough each year, even well beyond Prof. Pallandi’s retirement in 1991. But ultimately, it was construction work prior to the 2015 Toronto Pan Am Games that necessitated a change in tournament venue. For about the last five years this tournament has been played at various gymnasia throughout Toronto. But perhaps luck has finally smiled on the tournament this year, with its return to the University of Toronto. However this time, it was hosted at the Downtown Campus of U of T, at the recently completed Goldring Centre for High Performance Sport. 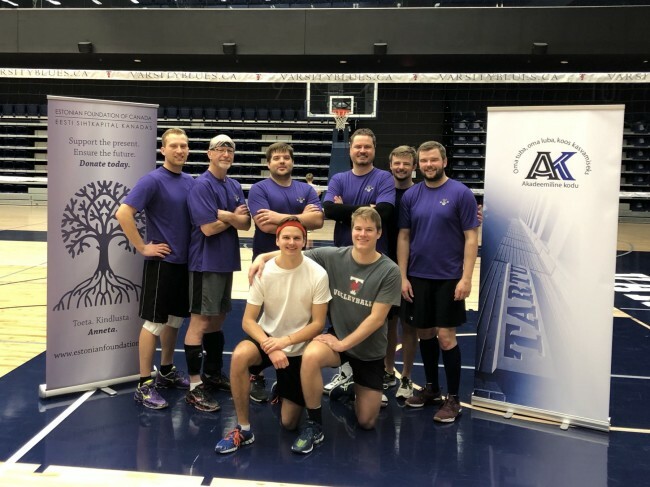 On the morning of Saturday February 2, four teams assembled at Goldring, two from the sororities and two from the fraternities. Everyone was impressed with this facility – with its amazing volleyball courts, its high ceilings, the great lighting and superb change rooms. Little wonder that the U of T Varsity Volleyball Teams practice and play at the Goldring Centre. The close proximity of Tartu College, a short five-minute walk from the gymnasium, added to the appeal of this new venue. Tartu College was an ideal location for players to gather after the tournament, to reminisce about the hard-fought matches played just a few hours earlier. Hopefully the Goldring Centre will become the regular home for this tournament for years to come! This year’s tournament organizer was Korp! 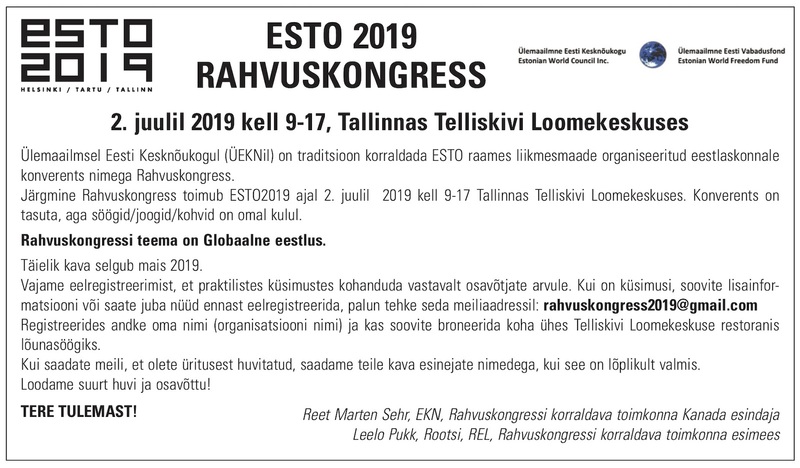 Vironia, serving as the 2019 “lead fraternity” for the Estonian Fraternities’ Association / Eesti Korporatsioonide Liit (EKL). A heartfelt welcome and thank-you are extended to Akadeemiline Kodu (AK), the umbrella organization for Estonian sororities and fraternities in Toronto, for joining EKL as Tournament Presenting Partner in 2019. A very special thank-you as well, to tournament sponsor, The Estonian Foundation of Canada / Eesti Sihtkapital Kanadas, for helping to ensure the event was a resounding success! The 2019 Tournament was won by a hybrid team from Korp! Rotalia and Eesti Üliõpilaste Selts. In second place was the team “AK All Stars 1”, made up of members from Korp! Amicitia, Eesti Naisüliõpilaste Selts and even a few non-aligned players. Third place went to the Korp! Vironia team and fourth to the team “AK All Stars 2”, a second team of various sorority members. Congratulations to everyone, for a very exciting and well-played tournament!